This is the week kids!!! SXSW is finally upon us and that only means one thing…my birthday weekend will be filled with music, music and more music!!! Hands down my favorite weekend of the year, I’ll be heading to Austin for the festivities in less than two days. 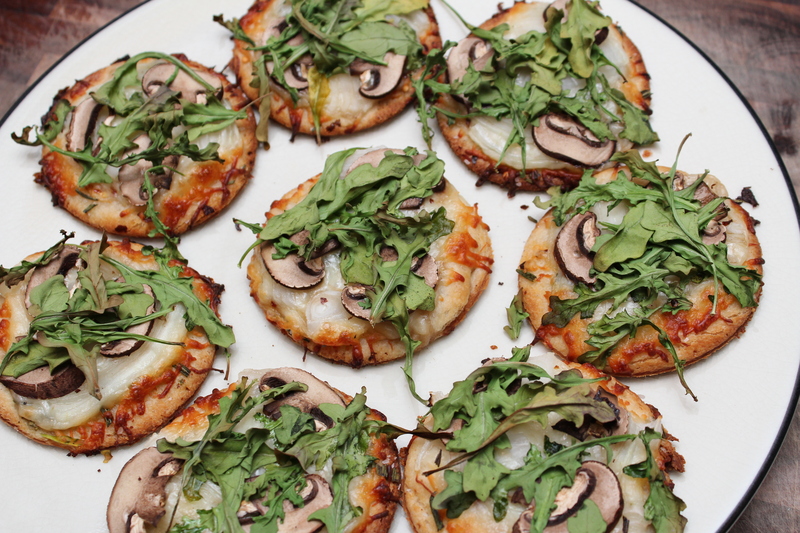 I’ll be sure to post tons of pics, interviews and reviews of my favorite bands but in the meantime check out these delicious snack pizzas I made for Yahoo! Music blogger Lyndsey Parker and her Reality Rocks blog! I thought I would experiment with the crust and make little mini pizzas and they turned out beautifully. These would be perfect for a small get together or for just a quick snack to have around the house. I was hesitant to bake them with the arugula on top so I just added it at the end for around 5 minutes. The texture turned out just right, adding just the right crisp to every bite! Is anyone heading the Austin this week/weekend? Who are you looking forward to seeing the most? Spread the pizza dough on a greased cookie sheet and poke all over with a fork. Brush with the olive oil and sprinkle with the red pepper. 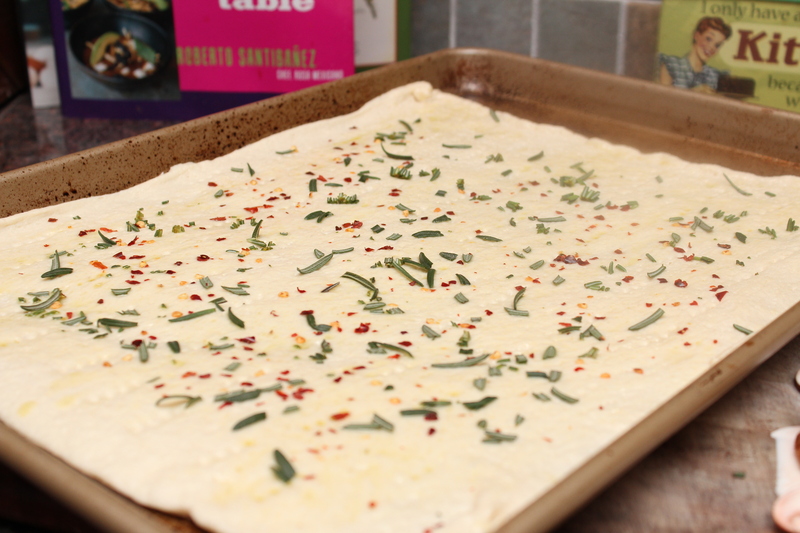 Using kitchen shears roughly cut the rosemary over the dough. Prebake for 5 minutes. Remove from the oven. Using a 3.5 inch dough cutter cut 12 circles. Discard the excess dough. 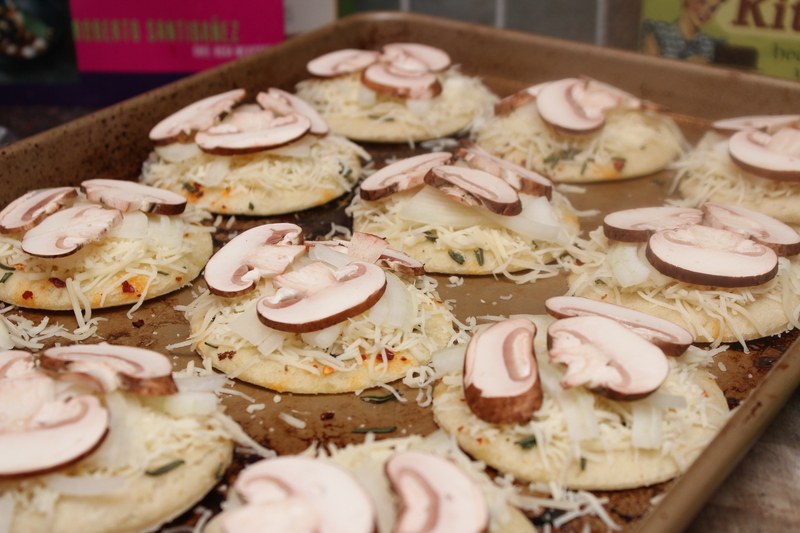 Top each mini pizza with the cheese, onion and mushrooms. Bake for 10 minutes until cheese starts to melt. 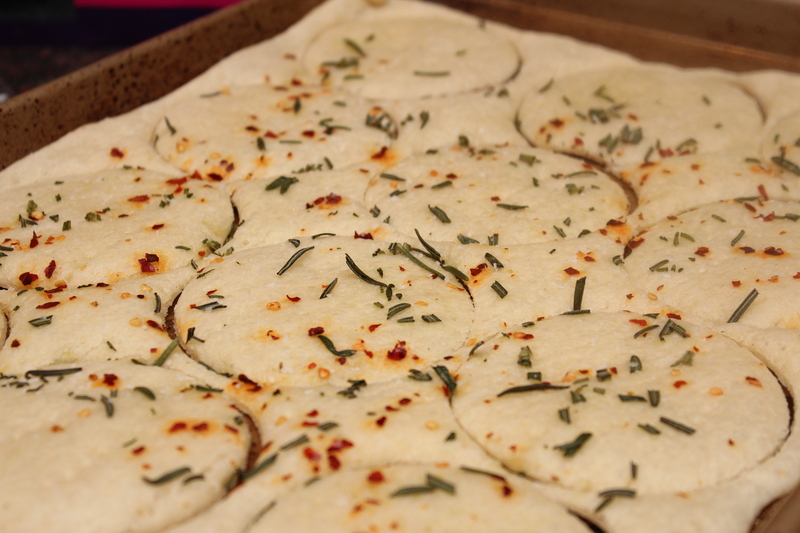 Remove from the oven and top with the arugula. Continue to bake until the crust is a deep golden brown, around 10-15 minutes. Song of the Day: St. Vincent "The Antidote"
Song of the Day - M.I.A. "Bad Girls"